Welcome to Rainy Lake Guiding and Voyageurs National Park Scenic Tours! Ron, Scott and Bruce Jean are licensed Coast Guard Captains, avid fisherman and very knowledgeable of the National Park and its history! We have a combined 143 years of fishing experience and 52 years of Rainy Lake Guiding experience. We have a passion for fishing, and a stronger passion for watching our clients catch fish. We enjoy teaching fishermen both young and old the keys to becoming a successful angler. We look forward to making your summer vacation/fishing experience a fun and enjoyable time! 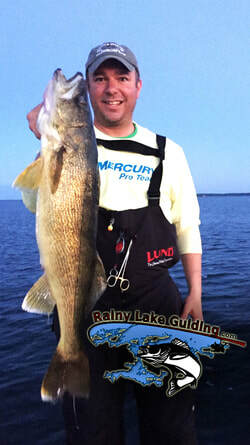 Rainy Lake is the Walleye Fishing Capital of Minnesota. Hire a fishing Guide with strong guiding experience. With a Rainy Lake Fishing guide, comes the ability to catch some very large walleyes, northern pike, muskie, smallmouth bass and crappies. As your Rainy Lake guides, we will provide 8 hours of excellent, intense fishing along with embedded educational tips and techniques through the day. Rainy Lake Fishing Guides have a passion for learning about all electronic devices and have always been scholars of the world of fishing. 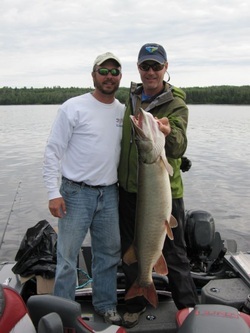 We will pass along just about all of our Rainy Lake Fishing Guide techniques to you!